Residential solar panels stresses choosing the right size for your home; each has photo voltaic cells but how many would you need to energise a remote controlled gate? Very few in comparison with you hot water kettle. Photo voltaic cells for your home come in many different sizes; choose the right size for the job. 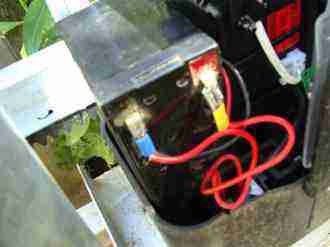 There's no point in using a 230W panel to power the small battery that you might you use in the garden. In fact, it would destroy it. On the other hand, if you want to generate large amounts of energy then there's no point in buying many small photo voltaic panels; the bigger, the cheaper it is per joule of energy. Confused with the units of electricity? The watt is the unit of power. If your panel is say 10W, then it will deliver ten joules of energy every second. But this isn't a lesson on physics. So, for a big job, delivering several thousand watts of power, you would want big panels; I would use 310W PVs; bigger if you can get them. However, sometimes four 280W panels might be better than three 310W; you have to add the voltages to keep them under that tolerated by the MPPT, 150V in my case. Here's an important tip. Start with the biggest panels you can get, and try and keep it uniform. The industry is growing so fast that you may have to accept different sizes in the future, if you want to add to your solar generator. Then you must use a simple stud diode to protect the lower voltage array. 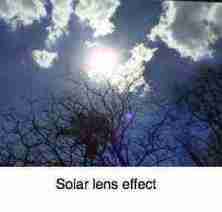 Photo voltaic cells turn the sun's energy into electricity; they are at the heart of all residential solar panels. Plants too capture that sunshine using photosynthesis. Do as I say, and not as I did. Not realizing how powerful the greed factor was, I started with four small 90 watt panels, just about enough for computers and lights but only providing it was an ideal day. When the weather was inclement, the output from 360W of PVs was dismal. Very soon, realizing the energy from the sun comes for free, I wanted to upgrade. So I bought two more 90 watt panels; still not satisfied, another four 185W panels. Now I have a mishmash making up about five kilowatts of panels. Do yourself a favour, saving yourself money, time and hassles; go as big as you can afford from the beginning. Because you will want to increase if you start small. Buy large panels and keep it uniform where possible. If I was to do it again, starting from the beginning, then this is the system I would choose. Four arrays of three 310 watt panels, bigger if they are available; 12 in total, nearing 4kW. Two 60 amp devices called maximum power point tracking regulators. 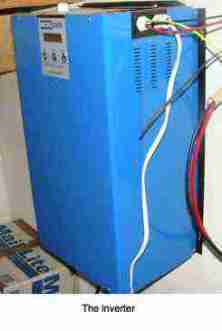 10 kilowatt inverter. This baby is expensive but he will satisfy your every need. 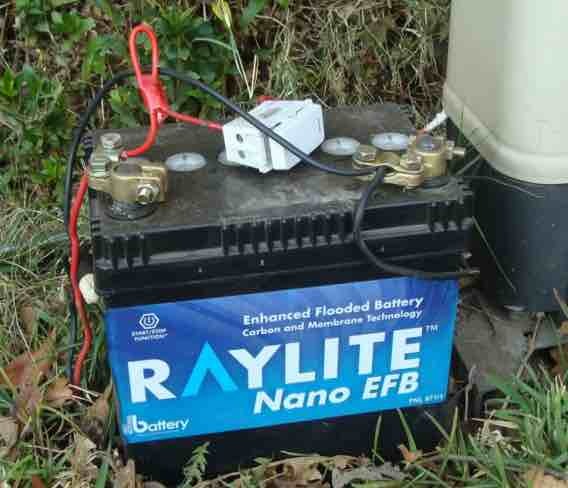 48 volts of the best quality batteries you can get if the utility supply leaves much to be desired; if you are planning to go off the grid you will need a big expensive bank. That in the USA would probably cost you about 8000 to 10,000 dollars, excluding the batteries. And you still have to install it; that's not expensive if you are a handyman but it will keep you occupied. In short, go as big as you can afford from the start. You can add more residential panels, growing your solar generator, but you don't want to trade in your regulator and inverter for larger units. But what other applications are there? 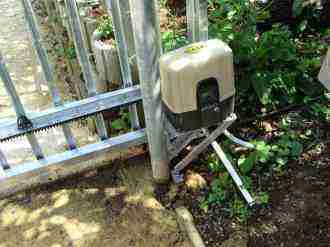 A remote controlled gate is a feature of many homes and businesses today; the sun can drive them but be careful of shading by trees; there are so many applications for residential solar panels. Here you would need only a small panel, and I would recommend a 15 W PV panel, if you are using the small 7Ah batteries that are supplied with most gate motors. The advantage of a panel of 15 W or less, is that you don't need a regulator, say the experts, though I beg to differ. Yes, a small panel won't fry your battery, but I've recently put in a 25W panel with no adverse battery effects on a 35Ah motor cycle battery that I now use for my gate. This panel is in the shade for part of the day, and provides adequate power should there be full sun. I have since moved the PV to the left side of the driveway where it gets more sun, and added another 25W panel, in parallel, that is facing due east for early morning sun; it can also be manually swiveled to face west. They don't charge together; they would certainly overcharge a small gel cell battery of 7-12Ah; I no longer use them. There are three ways to charge your battery. 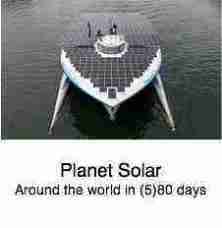 Two 15 W or larger residential solar panel, preferably one facing NE and other NW in the southern hemisphere. The second small panel, one more east oriented, the other west so they have sunshine all day. Since they don't charge much simultaneously, a regulator still isn't necessary. Watch the negative terminal; if it corrodes you may be overcharging. 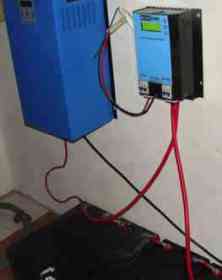 I have recently upgraded this whole subject at solar gate motor. With five years of experience on the subject we have made some changes. 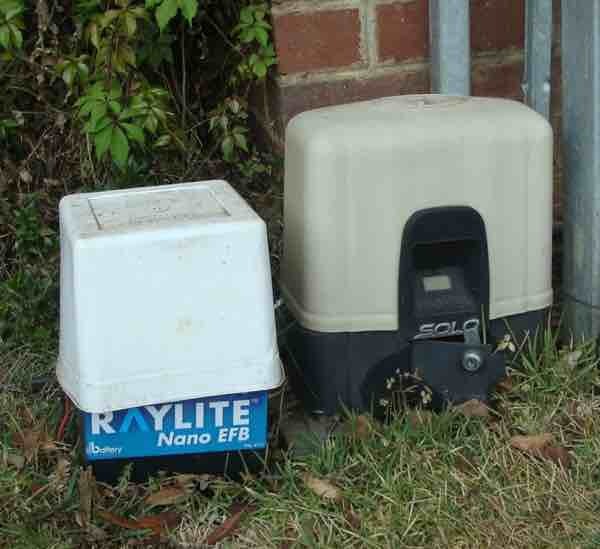 The advantage of a mains 110V or 220V line is that your battery will always be charged, always live, no matter how often the gate is used, regardless of the weather; provided you have a reliable source of electricity. 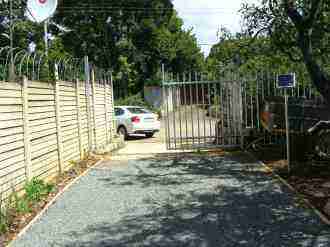 The downside is that you will need a qualified electrician to install an armoured cable from the nearest power source to the gate. And that costs significant money. And it will draw quite a substantial amount of power. But many countries, my own included, do not have a reliable source of electricity. It can and does go off regularly and surges and brown outs are not uncommon, damaging the charger. Then you are stuck. The advantage of a 12V line from your home to the gate is that you don't need that electrician, and you don't need an armoured cable. 12V isn't dangerous. The disadvantage of low voltage lines is that the losses are significant over distances; the current is much higher at a lower voltage, and a lot of joules are lost as heat. Heat losses are directly related to the square of the amps, but not the voltage. Over time your electricity bill will be much higher. Plus you need a gadget to convert your 110V AC power to 12 V DC. It costs. There are many advantages of charging small batteries from two residential solar panels; facing NE and NW. The panels themselves are inexpensive. Although the voltage is low at about 15-25 volts, and so the current relatively high, you can minimise the losses by having the panels close to the battery. Instead of an armoured cable, you can use ordinary house wire which is relatively cheap. You can easily install it yourself. Your battery will last longer under a slow steady trickle charge from the sun, provided you never drain it; in fact I now use a small 35 amp hour motorcycle battery, covered by an 5 litre icecream container. There are three disadvantages that need to be considered if you are going to use residential solar panels for your automated gate motor. However, there are simple solutions to all the problems. Sometimes, going green means more schlep; don't accept that, though. An electrical engineer, for a price of course, may well have a simple solution. That panel will radiate energy at night and drain the battery. It needs a small, very cheap diode to prevent the current from flowing back from the battery to the panel. That's very simple. If the motor remains energised all night, it too will drain your little battery. So one terminal needs to be disconnected every night, and reconnected in the morning. That's a bit of bother; I now use a switch. If you have a five day mist, you may find the battery flat, but it's not difficult to take it into your home and charge it for a couple hours. I've rarely have to do that, but it does happen. A 15 watt PV panel is adequate provided there's no shading, it's never cloudy and the gate isn't used too often; in another words, it's not entirely satisfactory. I have now settled for two panels, one 25W and the other this 10 watt PV panel at right angles to each other; in parallel. Now we have sufficient power in most weather. 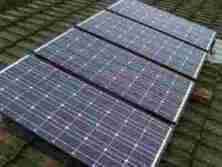 Residential solar panels can be very large and quite small. The advantage is that you don't need an inverter for home to run this with an expensive high voltage armoured cable connected to the distribution board. Everything runs on 12V DC. Watch for corroding of the battery terminals; flooding it with a solution of bicarbonate, scrubbing with a fine file, or sandpaper, and applying a layer of petroleum jelly is part of the solution; as I said before that may mean it's overcharging. The motorcycle battery has solved the problem. Yes, I confess it; at the end of wiring our new home, I had a surplus of red wire. The wire on the left really should be black. A simple multimeter tells you which is positive and which is negative. One learns by doing; the above small gelcell battery is easily overcharged without a regulator, won't last the night and, as wired above, only charges when the terminal is reconnected in the morning. As wired below, it charges continuously when the sun shines, regardless of whether switched on or not. The whole setup below if far superior. 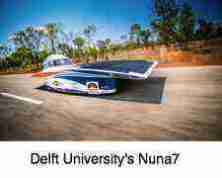 Read more at solar gate motor of five years of experimenting. Keep the rain off the battery. Those two wires run directly from the solar panel, charging this small battery. Remember, if you use a 15 watt photo voltaic panel, or smaller, you don't need a regulator. Security is a problem in South Africa, so every evening I walk out to the gate and padlock it, and simultaneously remove one of those leads. It's not a problem except occasionally when it's raining. And, in the morning, when removing that padlock, I reconnect the battery wire. 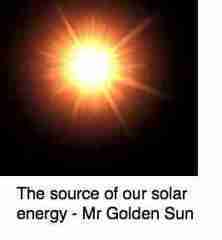 Yes, take into account when deciding to go green, and putting in a solar generator, that there are some finicky details. I won't pretend otherwise; it's not as hassle free as power from your utility company, but so satisfying to be contributing to a greener world. And quite a big saving, firstly in the initial installation, and now daily power consumption. Here's an interesting little thought for the day; watching me do this is how I'm teaching my grandchildren the importance of caring for the environment. Otherwise we will go the way the dinosaurs went. Climate change will become so violent that it may destroy everything we hold dear and threaten our very existence. Already we are seeing huge fluctuations in the weather. We have been running residential solar panels like this for our gate motor for three months and despite some inclement weather, we've never had a problem; but the gate never opens more than ten times a day. This solar system works fantastically well for a small homestead; I installed it myself with no special training and you could too. It was very inexpensive to install and it costs nothing to operate. The gate installer deducted 1700 rand or about 150 dollars because he did not need to lay on the high voltage line and I installed the residential solar panel myself. The PV and pole cost about 50 dollars. 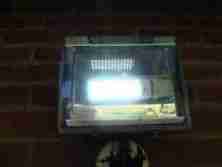 In fact that's a 10 W panel because I had it in stock from another aborted operation and it's adequate for my needs. I would advise you to spend a little extra and get a 15 W panel; in fact, due to five consecutive days of misty weather this summer, I now have two panels, one facing NE and the other NW. 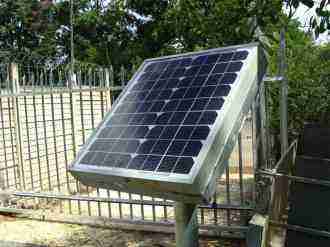 Residential solar panels do much more, of course, than power the gate. We use those large panels to power our whole home. They supply the water pump from the reservoir, all the lights and computers, my carpentry tools, the hot water kettle, the toaster, the electric oven, the swimming pool filter and chlorinator. The large energy uses like the oven and the kettle can only be used during the day. At night we use a change over switch to use power for heating from the utility. All in all, we use 50 kWh per month from the utility, valued at about five dollars per month. You too could have an electricity bill like that. This is all done via a solar generator; you too could build a energy saver like this if you are handy with your hands and have some basic knowledge of electrical wiring. It's not rocket science and these pages will tell you how I did it. I only have a 5 kW inverter and it works, but I'm sorry I didn't pay the extra thousand odd dollars for a 10 kW. My system won't drive the thicknesser for my carpentry, or the electric lawnmower. 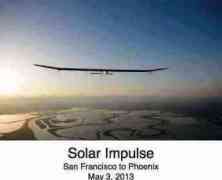 A 10 kilowatt would, and I could then consider going off the grid. The experts strongly advise not using different watt panels, but taking a chance I proved them wrong. Ideally you don't want 90W, 185W and 230W arrays of panels in parallel. They generate different voltages which is not ideal. I got around it by using a stud diode to protect the smaller panels. It works, but rather plan it right, and go big when planning your residential solar panels from the start. You don't have to know how diodes work but perhaps you're interested. How many panels can you put in series? The more the better to reduce losses by using high voltages, read low amps, but there is a limit. 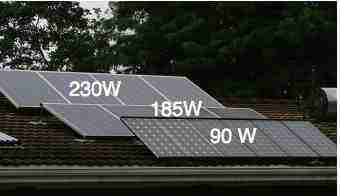 This excellent highs and lows photovoltaic system calculations site will help you. Remember to take the cold weather factor into account. Keep in mind that between baths, showers, dishwashing and laundry fifty percent of your electricity bill goes on heating water. 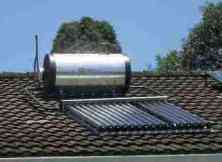 Your first step in reducing your electricity bill should be a passive solar water heater in my opinion, and not residential solar panels. The modern vacuum tubes will handle temperatures down to -12C but in climates like Chicago where I did my chiropractic education you will need to get specialised advice. Bernard Preston's site is about the healthy living of a greenie. Do you also want to reach a happy, vital eighty with all your marbles and joints intact? Then keep puzzling about things that fascinate you; residential solar panels and their many applications are keeping my mind active presently. One of my books may be for you too; ebooks are dirt cheap. Okay, I'll admit to it; I have many interests and hobbies and am only a master of chiropractic and writing inspiring books. Of residential solar panels, keeping bees, carpentry and gliding, organic gardening, I have an intense interest but I wouldn't call myself an expert; I have no formal education in these subjects, only an inquiring mind and many years on the job training. In nearly sixty years of keeping bees, one learns a thing or two, with or without a formal education in entomology. 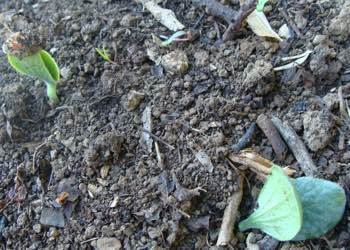 Here you may get the stimulation to start going green; perhaps building your own solar generator, or planting a butternut seed, but you may still need to get expert advice from someone. 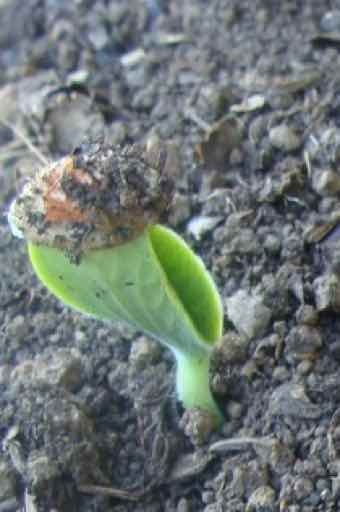 Ha, yesterday I saw the first three butternut seeds are up; roll on winter squash, one of the healthiest veggies you can grow this summer; they too capture and process sunshine, though rather differently to residential solar panels. There's so much challenge out there, so many exciting things to think about and do; enjoy the ride! Here's a thought; is your child also hyperactive? Always busy, can never stop? About the worst thing you can do for that very able, agile brain is drug it with Ritalin; it's a toxic medication and you risk taming all that enthusiasm for life. Rather take a good long like at what you're feeding him; if you and the family are eating crap, full of sugar and white flour cake, cookies and bagels, loaded with chemicals then of course that brain is hyper. And the worst thing you can do is add yet more chemicals; it will destroy him. It is the easiest solution of course; just drug him, and hobble that creative brain. I have written more on that subject at attention deficit Bernie. There are plenty of healthy choice foods out there but it does take some time and energy to find and cook them; you may think it utterly weird to feed your hyperactive child eggs Florentine every morning for breakfast. It takes only ten minutes and I guarantee you'll see a change in his behaviour for the good. Just look at what it did for Popeye! 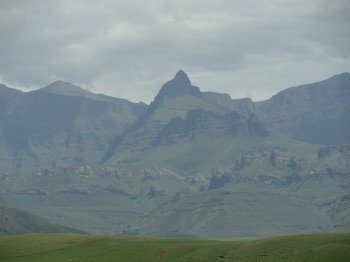 It's food like that which gave me energy to climb the Rhino Peak last week, and keeps me thinking about residential solar panels and the like.